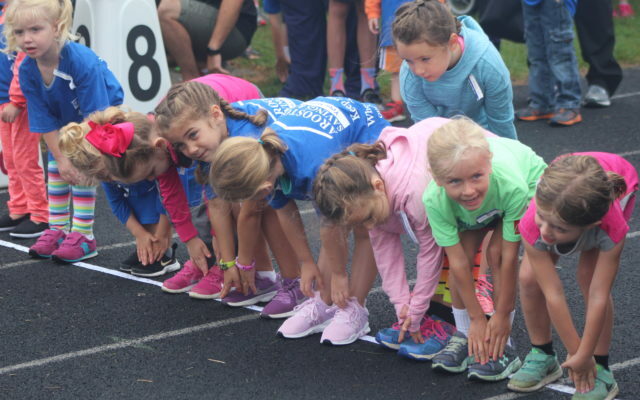 One hundred and fourteen girls and boys participated in this year’s Aroostook Federal Savings and Loan Viking Run, a running event for youth held on Labor Day, Sept. 3, at the high school track. 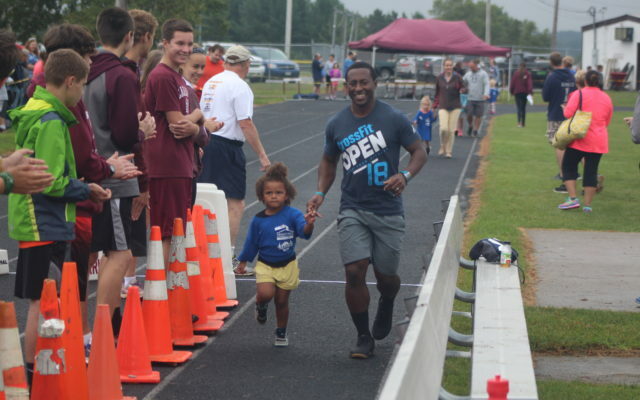 CARIBOU, Maine — One hundred and fourteen girls and boys participated in this year’s Aroostook Federal Savings and Loan Viking Run, a running event for youth held on Labor Day, Sept. 3, at the high school track. Teanne Ewings broke the all-time record in the girls’ grades 5-6 miler, finishing in 6 minutes and 7 seconds. 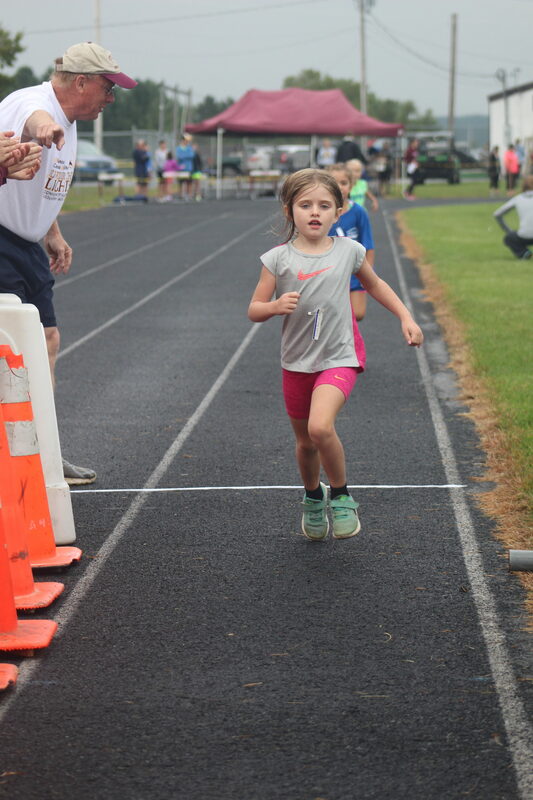 Scarlett Beckum is the new record holder in the Pre-K and kindergarten division for girls with her time of 1:51 in the quarter mile. 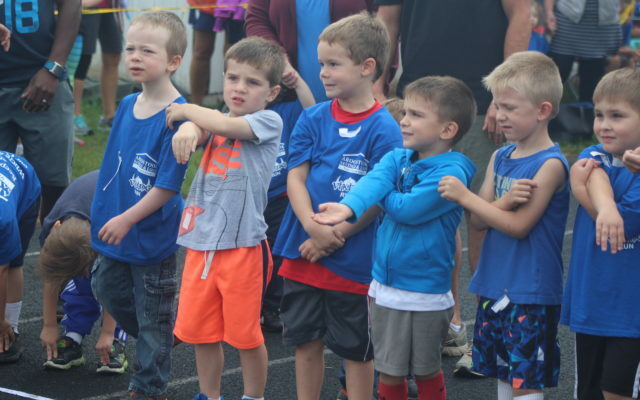 Pre-K and kindergarten quarter mile: girls, first, Beckum, 1:51; second, Ava Rosser, 1:53; and third, Luca Peterson, 1:55; boys, first, Corey Cote, 1:49; second, Ethan Bechtel, 1:49; and third, Samuel Gomez, 2:00. Grades 1-2 half mile: girls, first, Emma Graves, 3:39; second, Isabella Albert, 3:48; and third, Jenna Strid, 4:26; boys, first, Andrew Rosser, 3:22; second, Riggs Peterson, 3:33; and third, Pierre Gorneault, 3:54. 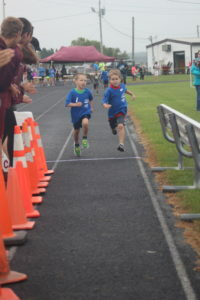 Grades 3-4 half mile: girls, first, Mackenzie Shields, 3:23; second, Isabella Robbins, 3:49; and third, Breanna Royer, 4:00; boys, first, Iuas Gomez, 3:24; second, Tristen Merchant, 3:25; and third, Jaden Persons, 3:39. Grades 5-6 mile: girls, first, Ewings, 6:07; second, Maggie Bell, 7:15; and third, Brianna Levesque, 7:37; boys, first, Isaac Staples, 6:32; second, Camden Pelletier, 6:48; and third, Gavin LeTourneau, 7:23. Grades 7-8 mile: girls, first, Annalise Jandreau, 6:03; second, Kayley Bell, 6:10; and third, Lilly Bray, 8:38; boys, first, George Ferland, 6:04; second, Jonathan Staples, 6:25; and third, Sebastian Shields, 6:32. 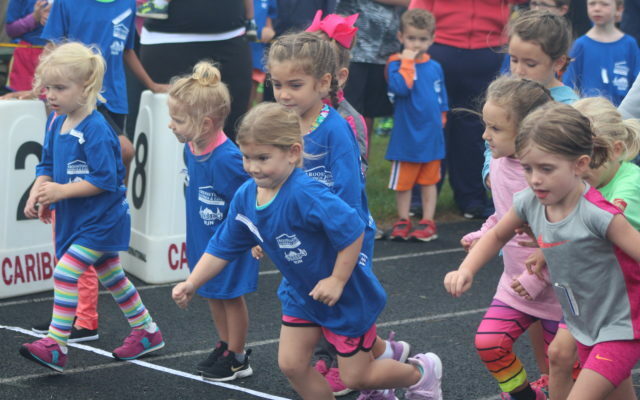 Girls take off at the start of the quarter mile run for the Pre-K and kindergarten division at the annual AFSL Viking Run held Monday at Caribou High School. Scarlett Beckum, far right, was the race winner and broke the record in the division with a time of 1 minute and 51 seconds.